Spring is on the horizon and Mothering Sunday is nearly upon us, a day to say thank you to all of our Mother’s! Mothering Sunday falls on Sunday 26th March this year (2017!) and it’s a perfect opportunity to return the favour and show her just how much she means to you, celebrate all that she has given to you! Gin and Tonic is really on top of its game at the moment in the UK, new types of Gin and Gin bars now popping up all over the country, there’s more Gin to choose from in the Supermarket and behind the bar than ever before! 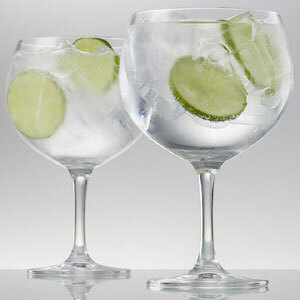 With this in mind, there’s actually Gin specific glassware readily available, especially the ever so popular wide bowled Spanish style gin and tonic glasses! If your mum likes to travel why not give her to some wine bottle travel bags, the perfect solution for transporting wine! These handy transport bags will allow you to take or bring back your favourite bottle of wine from holiday. They reduce the risk of the bottle breaking or becoming damaged within your packed luggage and ruining your packed contents. Our most popular Wine Decanters are the stunning handmade crystal pieces from Eisch Glas. Made entirely by hand in Bavaria Germany, our collection of wine decanters would make for the ideal gift for Mother’s Day. 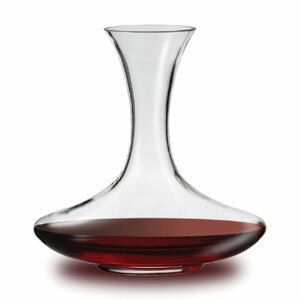 The style and shape of Eisch Glas Wine Decanters will enhance your drinking experience of Red Wine, the wide bowl give the wine plenty of room to aerate and you can effortlessly pour into each glass round the dinner table. VacuVin supply some fantastic and innovative wine accessories that are sure to enhance your drinking experience. From bottle coolers to pourers and aerators to buckets, their range of wine essentials will really help your Mother enjoy her wine even more! 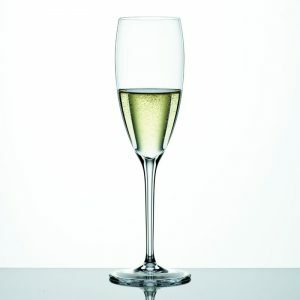 Celebratory moments and occasions of happiness are often met with a lovely glass (or bottle!) of fizz, so why make Mother Sunday any different? Here at Wineware, we have a great selection of perfect glasses for Champagne, as well as other Sparkling Wines such as Cava and Prosecco. So if you’re popping the corks on Mother’s Day or an upcoming special event, be sure you’ve got the right glassware to match that perfect bottle of fizz!